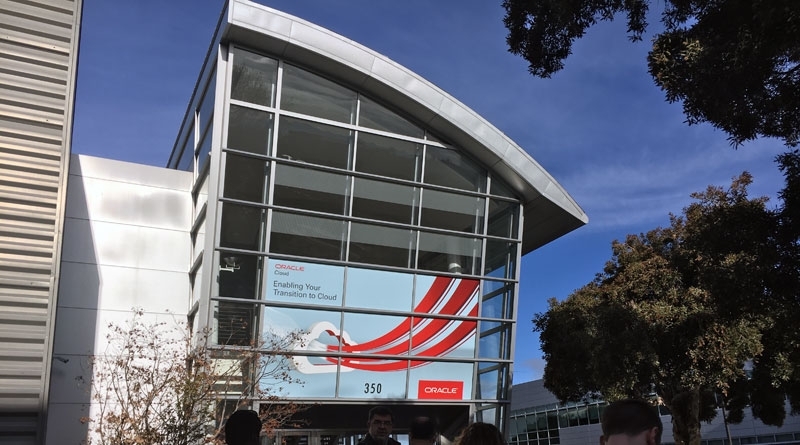 I was recently fortunate enough to be invited to the second Oracle Ravello Blogger Day. A previous blogger day was held in 2017, and although I couldn’t attend, the content I saw generated from it showed that it was a great event. I was excited to see how far Oracle, and by extension Ravello has come in the past year. With about 30 bloggers in attendance, of which about %40 were there last year, it was a great event. There was a lot covered during the day, so this might spread out over a couple of blog posts. Before I dig in to the innards, it is important to understand the relationship between Ravello Systems and Oracle Cloud Infrastructure (OCI). Ravello Systems was purchased by Oracle in 2016, and it currently runs on top of OCI. OCI on the other hand, is Oracle’s cloud service, which does not require Ravello to be running on it. This distinction is important as they are two separate products, but overlap in some areas. The three big names that come to mind these days when talking public cloud are AWS, Azure, and Google Cloud Platform. But where does that leave Oracle? They are admittedly late to the game, but that isn’t necessarily a bad thing. Rather, by letting the other giants grow, and fumble at times, Oracle can learn from those experiences. Having someone else make a mistake is usually cheaper than making that mistake on your own. Oracle’s vision for OCI is clear: Customers can run their entire business on our cloud. That is a bold claim, so how do they expect to handle that? Performance is a large part of this strategy. Many cloud providers will use terms such as scalable or elasticity to describe one of the core strengths of their offering. Oracle, on the other hand, made an effort to highlight how they have designed for performance. One example is that their network is non-blocking. What this means is that their entire infrastructure is designed to run at full capacity, without invoking any performance degradation. This is accomplished by logically taking the networking out of the hypervisor. The networking is still inside the same physical box as the hypervisor, but is independent of the hypervisor. While on the topic of networking, OCI also has multiple regions, which are both a locality as well as a DR construct. Within each region, there are independent fault domains. Going with this design not only provides potential performance benefits, but also increased availability. Given how geographically disperse workloads may have to be (e.g. move workloads near large customer bases), being able to use a “close by” datacenter can be beneficial. On the flip side, being able to use datacenters that have large distances between them is assuring from a DR / BC perspective. Oracle is clearly serious about being a contender in the cloud market. Based on conversations with folks who attended last year, as well as details from Oracle staff, a lot of features have been added or improved in the past year. OCI is putting its money where its mouth is with its SLA, which it dubs as “The Industry’s First End-to-End SLA”. So where does that leave OCI in the marketplace? One name that was noticeably absent when talking about competitors was Google. GCP is generally accepted as being #3 in cloud providers, which you would think would be on Oracle’s list. However, its absence does lead to some wonderings: do they not see them as a threat? By not acknowledging them, are they trying to market themselves as the #3 leader? Does it really matter? In a market that is worth billions upon billions of dollars, top 4 isn’t a bad place to be. Oracle showed us that they are going strong, and are focused on an objective. Seeing how much ground they gain in the next 12 months or so will be quite interesting, to say the least. Disclaimer: I was invited by TechReckoning to participate in Ravello Bloggers Day. Travel and lodging costs were covered as part of the invite. I was not requested to write the above – all words and opinions are my own.